At one point it seemed that the two countries might be able to resolve their differences over the Renaissance Dam construction project in Ethiopia, which threatens Egypt’s already precarious water supply. In a bizarre twist, Egypt at one point proposed to help with the project’s construction. But talks between them and Sudan broke down and Ethiopia continues to adopt a fairly noncooperative stance over water rights that were established by colonial powers in 1929. Politically crippled back home and in no position to exert any kind of power, Egypt has conveyed plans to play its only trump card to ensure its population of nearly 81 million has some semblance of water security: getting Saudi Arabia and other Gulf countries on board. The same official told the paper that Egypt has received reassurances from both Saudi Arabia and the United Arab Emirates (but not Qatar, notably) that they are on board to help with any issues related to national security. Mahmoud Abu Zeid, who heads up the Arab Water Council, told the paper that Gulf countries could definitely persuade Ethiopia to reconsider its position with Egypt as long as the two countries reached a consensus, while an Egyptian diplomat who asked to remain anonymous was more direct. “Any change in the amount or terms of monies given to the Addis Ababa government will greatly contribute in compelling Ethiopia into reassessing its stance towards Egypt, as well as committing to a serious and constructive dialogue in order to resolve the continuing crisis that exists between the two countries concerning the Renaissance Dam, the official told Al Monitor. Since Saudi Arabia invests more money in Ethiopia than any other country – up to $3 billion in 2011, it probably doesn’t make much sense to test their loyalty. Again,it is clear that Both Egyptian and Ethiopian politians are using that Dam Issue to divide the 2 local populations,people are people! brothers in egypt, we are pointing toward poverty which is a very serious issue in ethiopia but not towards you.hence it is better to give us your hand. unless, no one can let down our move on GERD. To: Egyptian politicians and media. and see the unbelievable development. WE DON’T NEED ANY SUPPORT FROM ANY COUNTRY . @ JohnnyMorales, You are very professional!!! I was interested with your comments more than the pice written with a full of Typo! Who naïve people are these Egyptians?!!! Honestly, Egyptians do not know what they are doing. But they have made it much worse than we imagined before. We had no plan to make them thirsty but now they made us think far from the beginning. Every Ethiopians now wanted the river to be cut only because of burning anger by the foolish action of Egyptian officials. It seems they do not know Ethiopian people. No man under the sun can push us around. It is time for Egypt to invest in Desalination using Graphene Technology. Ethopian will not be stopped from using the river. You have exposed yourself who you are to every Ethiopian. Every single Ethiopians know now Egypt is a mortal enemy of Ethiopia. What doesn’t makes sense is thinking SA simply gives $3Billion to Ethiopia as a gesture of good will. They are growing food for Saudi Arabians on giant for profit mega-farms leased from Ethiopia. So there is NO loyalty to test between SA, UAE and Ethiopia, because the investments are pure business deals designed to provide profit for both sides. One of the big crops SA investments is keen on growing is rice, the most water intensive farmed crop in the world for which they have already been using water from near the Elewero irrigation dam,built by Russian engineers during the socialist era 10,000 hectares of land they leased for 60 years. The rich irony the over confident writer of this piece misses is one reason the dam is being built is to ensure water for those crops grown for SA and UAE. 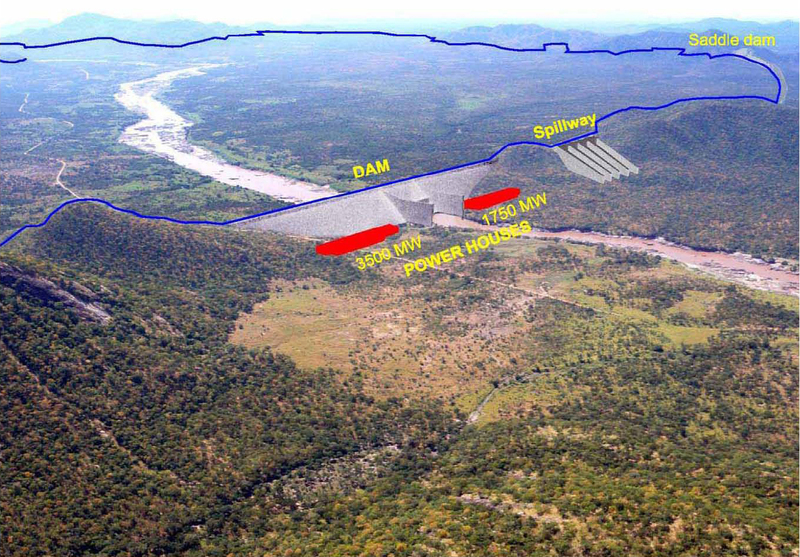 The need to generate electricity is the official reason of course, and it is to divert the focus from the most likely reason Ethiopia is adamant about building the dam. If Arabs knew the truth behind the excuses, they’d realize it’s SA and UAE who are betraying their Arab brothers in order to grow food for their own people. The Saudi investors know to bring all the farmland they will eventually have under lease up to full production will require far more water than little irrigation dams built on Nile tributaries can provide. To ensure they have enough water they need the giant dam along with its power generating abilities in order to send that water to the places it needs to go up river from the huge lake it would create. If the writer of this piece had done a little investigation they would have realized just how idiotic they made themselves look by suggesting Saudi Arabia might teach Ethiopia its place by withdrawing their investments as if they are gifts from the kingdom rather than investments made for the same business reasons the world over self-interest. To threaten to withdraw it to teach Ethiopia its place would be self-defeating. Rather than talking down to Ethiopia as the writer of this piece does, maybe he should expound on the other nearby inexpensive options Saudi Arabia has to grow that food elsewhere show Ethiopia its place? Ethiopia is unique in the region. Thanks to sitting on a plateau over a mile above sea level it is blessed with large areas of well watered fertile farming land. It is surrounded by arid or desert regions, because were it not for that plateau Ethiopia would be a big desert too. The only other place close to this region is the Yemen Highlands, but they have no land to spare, because they are busy using 90% of it to grow KAT, and one of the largest populations of any Arab country use the other 10% to grow basic foodstuffs to feed their own people.. So to think they will do much more than talk is to be blind to the reality that Egypt faces and why. When it comes to water, Egypt has no native supplies. To think SA and UAE are going to help when it means they would have to give up their dreams of turning the lands they leased in Ethiopia into food security for both of them is ludicrous. More to the point, those two nations are the last ones who would feel pity for Egypt for they don’t even have a river to call their own. Rather than telling Ethiopia not to build dams, I imagine the outcome will be Saudi investors offering to build massive desalination plants for Egypt as well as surreptitiously suggesting Egypt tap into the fossil water found nearby but over the border.